Find below the list of top CBSE schools in Tharamani - Chennai with phone number, address, 360° School tours, 2018-19 Admission forms & Fees, photos, facilities & more. Greater social and economic divideshas focused our attention to the planning and direction of the curriculum, which we believe will address these concerns to the largest possible extent. The American International School - Chennai at Taramani was designed by the Hillier Group, the renowned, Massachusetts-based firm of architects. 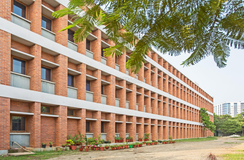 The comfort and safety of the school's inhabitants were taken into consideration at every stage of the planning and construction of the new campus, culminating in the finest educational establishments of its kind in southern India.All classrooms are air-conditioned, as are the sports hall, health center, cafeteria, and administrative offices. The layout of the buildings takes advantage of the sea breeze while water features, ample trees, and shrubberies help maintain a cool environment in the public areas.\n\nThe age and needs of the children, who use the classrooms, was taken into consideration. 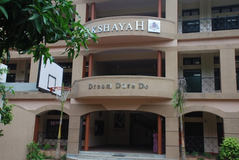 Akshayah Global School Chennai is located in Velachery, Chennai. It was established in 2005. This school follows the IGCSE board. The school has English medium. 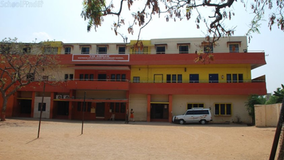 The Ashram Matric School is located in Guindy, Chennai. It was established in 1991. This school follows the ICSE board. The school has English medium. 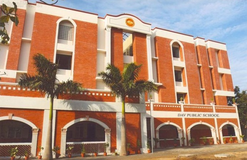 Akshayah Matriculation Higher Secondary School is located in Velachery, Chennai. It was established in 2005. This school follows the CBSE,State ,ICSE board. The school has English medium. Vanavani Matriculation Higher Secondary School is located in Adyar, Chennai. It was established in 1963. This school follows the State board. The school has English medium. Although there are many top CBSE schools in Tharamani - Chennai it is not necessary that each one is suited to your child's needs. That is why you need to analyze and consider every factor about the best CBSE schools in Tharamani - Chennai before settling for one. Sqoolz's list of best CBSE schools in Tharamani - Chennai makes this job easier for you. Find every detail that is necessary before choosing the right school. You can also take our virtual tour, a feature solely designed to give parents a sense of assurance.